It takes some bands a while to get their just due. Not all roads to stardom and fame are easily paved. Some bands must spend several years before they get the respect they deserve. It takes that hard work and persistence to keep pushing before you finally break through. For Cleveland’s Brandtson, that time to break through is now. After spending about seven years in the background to comparable bands like Sense Field, The Get Up Kids and Jimmy Eat World (watching them settle down in the spotlight), it is time Brandtson got to enjoy the warmth of the glare. In many respects, they helped define a genre of music that said it was okay to be sensitive and emotional while rocking out at the same time. 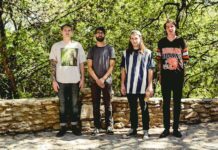 Ending their flourishing long tenure with Deep Elm Records and then signing to up and coming The Militia Group, Brandtson have finally pieced together an album that brings their traditional indie powered rock to the forefront. Musically, Send Us a Signal is twelve songs filled with powerful rock melodies slightly coated with pop harmony; pulling everything together in an overall appealing sound. The guitars posses a heavy yet easy-on-your-ears sound coupled with profound drum beats that really resemble a mix between the often compared to Jimmy Eat World and the thrashing of Superdrag. This album also displays the elaborate work of studio specialist/producer Ed Rose. The recording is excellent and the sounds are meshed together incredibly well. Rose still manages to keep that well-known Brandtson rock sound but adds some unique musical patterns and punch that really push their musical identity to another level. Lyrically, the album is stamped with those heartfelt words of despair and lost hope. Good songwriting has always been a staple of Brandtson, and this album is no different; “I wonder now and then If I ever really knew what brought the end / If I got the truth my friend / So I brought you here tonight to finally get to your insides / Close the drapes and lock the door / I’ll ask once more / I just have to know / Is there something on your mind?” Maybe something that you never said / Now all we have is time / So break it over my head. These are the words from the third track, “Throwing Rocks Tonight,” and it illustrates the awareness and emotion that Brandtson have displayed for quite some time. The track “Mexico” shows the anger and agonizing side of their lyrics; “Records on the floor / I’m giving back what’s yours remember us last weekend dancing to the Psychedelic Furs / I tried to tell myself that we could be alright, now it’s me and my cigarettes and alcohol tonight / So screen all the phone calls and put the chain on the front door, and if you see her tell her I don’t live here anymore”. Brandtson will clearly benefit from being on The Militia Group roster. They may finally get the spotlight they have worked so hard for. 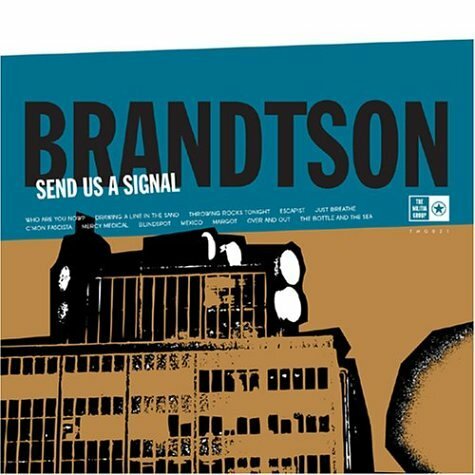 But just the way this album sounds proves to me it’s not really that important either way for Brandtson. They just make music that’s heartfelt and recognizable to anyone that has loved. Send Us a Signal proves that they should be right up there with the other bands that have achieved success for their innovations.